It is June, 1940 and the fight for control over the Middle East and its oil resources is yet again is the cause of much death and despair. The North African campaigns have begun between the British along with their allies against the might of the Axis forces. Join the fight along with hundreds of others, side by side in the air, in armored vehicles, or even in the trenches! Combat Studios presents yet another "Tour of Duty" using the new Forgotten Hope 2 mod for BF2. Choose your army and start out as a private. Work your way up the ranks and possibly command an entire army to take over North Africa. Each army is provided with their own private forums for strategic planning, their own private team speak channels, and private training servers. Combat Studios provides exclusive game content restricted to members as well as a "simple" downloader for all content. See you on the battlefield! Large scale, 64 man battles fought multiple times per week! Dedicated, competent team mates. Play the game the way it's meant to be played. A unique, dynamic system lets you play new, well balanced, maps from stock BF2 and from the entire community. A great download interface lets you get the newest files quickly and painlessly. Innovative company practices. Great tips for new and experienced players alike. Impressive, member-generated content including movies, maps, newspapers, and a variety of other features which enhance the experience. Battle servers in the United States and London. Unmatched global game-play without the smack tards! Log on and participate with adults from all around the world who love Battlefield 2. Great rebate policy. Try it for two weeks and if you decide it's not for you, then we'll refund your payment! Engaging storyline which is affected by your actions on the battlefield! Clan Fusion program lets you enroll as a clan and play together during battles and practices. You can also join with friends and play in the same sub-unit. Unique qualification programs, including WW2Combat Training School�. This section explains how our Tour of Duty� operates. It is not essential that you understand this to play in the Tour of Duty�, but it provides a glimpse into what is going on behind the scenes. Our Tour of Duty� simulates an actual war, and as such, is conducted in phases. Unlike some other �tournaments� online, our Tour of Duty� operates in distinct phases. In the first stage of the Tour of Duty� there is one main theaters, The WW2 African Campaign theater. Victory in particular battles determines success in the war, and there is no set outcome. No side will be able to decisively defeat another in a single tour, but the outcome of one conflict affects future conflicts. Each army is subdivided into divisions which engage each other in battle at set times. All division play at the same times every week, and you will have at least two battles per week. Server information will be posted in your division's barracks during the week. Each battle will be played on one main map, and an additional secret map which last week's victorious side will be able to pick. If the Axis won last week, for instance, generals from the Axis faction will be able to select on what map they will play next week. If custom maps are required for play download links will be listed on the divisional forum. Currently battle times are Saturdays from 1700 GMT to 3:00 AM GMT Monday morning and Wednesdays 1700 GMT to 300 AM GMT Friday morning. This translates into 1200 � 2200 EST both days. During the first Tour of Duty, members can enlist to fight for the Alies, or as a soldier on the Axis side. The number of sides for which someone can fight may expand to include additional sides. Please note that purchasing future Battlefield 2 expansion packs might be necessary for playing in WW2Combat's future Tours of Duty. WW2Combat does not require exceptional levels of talent to play. Any player who works toward improving his or her skill, through exhibiting discipline and attending regular practices, is capable of becoming a great soldier. Members must be a minimum of sixteen (16) years of age before joining WW2Combat. Combat Studios LLC does not have any mechanism for verifying the ages of players with perfect accuracy and does not take any responsibility for players younger than 16 who are members of the Tour of Duty. Members of WW2Combat must maintain decorum and exhibit maturity both on and off the battlefield. Members of WW2Combat must comply with and execute to the best of their ability any orders given by superior officers or Tour of Duty administrators. Members of WW2Combat may not cheat or use exploits in any way, on any server. If you discover an exploit, you are required to make a superior officer aware of it. If you discover an exploit during a battle, you must desist in using it, and make your superiors aware of it during the inter-round time. Members of WW2Combat may not harass in any manner either members of WW2Combat, or members of the external gaming community in any way. Harassment is grounds for expulsion from WW2Combat, and depending on the severity of the offense, can result in a lifetime ban from all Combat Studios Tours of Duty. This includes verbally abusing your superiors, subordinates, and peers. Members of WW2Combat may not spam messages about WW2Combat on either other servers or on forums. In discussing controversial topics, members of WW2Combat must be extremely cautious not to offend other users. WW2Combat is composed of members from all around the world with many different views. WW2Combat does not exercise an outright ban on the discussion of religion or other controversial issues, but members should use their discretion about posting such content. Members may not register different accounts on different sides, e.g. one cannot register on the Iraqi army and on the United States army during the same campaign, but you can register two different accounts for the United States. If you share an IP with another member, please email an administrator or make your superior officers aware before registering another account, and we will add you as quickly as possible. Members of WW2Combat are permitted to become or remain a member of another clan. Members may also recruit other members from the Tour to join their clan, provided they do so discretely, and with the intention of continuing to play in the Tour. Unless otherwise instructed by a Battlefield Command staff member, only trained air force pilots are permitted to fly aircraft during battle. For training instructions just ask around, other members will be able to help you. Members of WW2Combat are required to be on WW2Combat's Teamspeak server during practices and battles, or when otherwise playing on WW2Combat servers. Members are encouraged to remain on Teamspeak whenever possible. There is more information about Teamspeak in the Teamspeak section of the FAQ. Please note that we will be using Teamspeak instead of Voice over IP for battles, practices, scrimmages, and general play. We try to keep WW2C as historical accurate as possible, but we also believe we can do this without using nazi symbols. Therefore, in respect, we do not allow any Nazi, Nazism and Neo Nazism symbols (swasticka, SS symbols, NSDAP, hitlerjugent etc). Images against these rules will be removed instantly by our admins with an official warning! Join now and save yourself FREE 30 DAYS! After that, there is a small charge to pay for all the servers. That's all for today, but be sure to come back for another Forgotten Hope update in the near future featuring new content that will be included in the next release. And don't forget to join us on IRC. Feel free to visit our public forums to discuss this update or other news. Hello and welcome back to another update of Forgotten Hope 2. 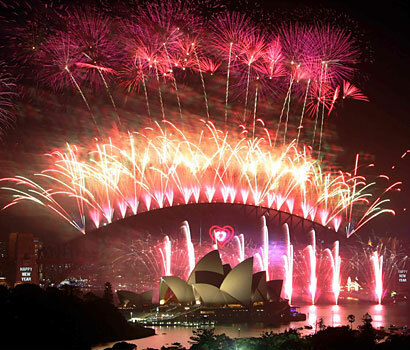 Today is New Year's Day, the first day of 2008. The Forgotten Hope Developer Team wishes you all the best for the upcoming 366 days of this leap year. We hope you will have success and keep well and fit! Do not forget the ModDB Mod of the Year Awards! Simply open Battlefield 2 category and click Forgotten Hope 2 to vote. That's it for today. Feel free to visit our IRC channel and our public forums to discuss this update and other news.